Doughty’s five-years-in-the-writing autobiographical volume sounds confronting and is, to a point, and yet this is less some catalogue of necromantic ugliness and more a study of one woman coming face to face with the purest terrors of mortality – and finding comfort and compassion. The Hawaii-raised Caitlin was always obsessed with death, perhaps after witnessing a terrible accident as a kid, and after teenage years spent pursuing the darkest music and movies and, later, ominous university labours, she got a job at Westwind Cremation & Burial, San Francisco. 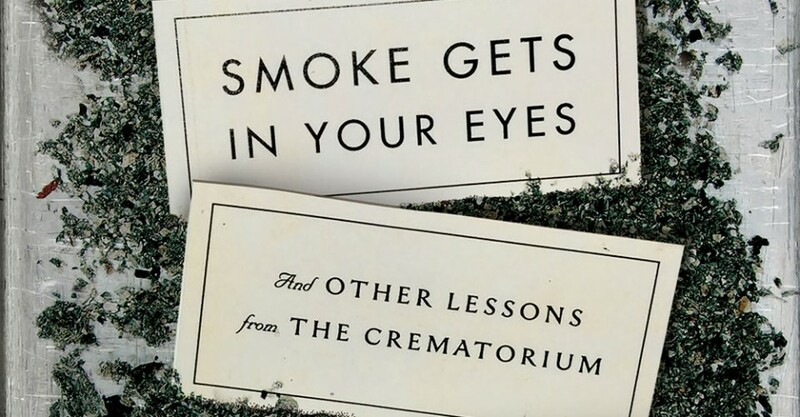 And she was immediately thrown into the deep end, shaving a corpse on her first day and then moving into picking up cadavers from residences and hospitals, conveying bodies (and body parts) into the crematorium, and more. 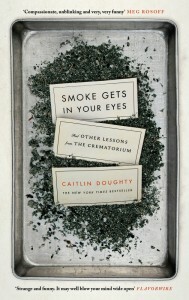 The author recounts these experiences in a cautious tone that doesn’t detract from her initial horror, and yet eventually she discovers that she also isn’t jaded or emotionally deadened to the work either, as she learns that death-related industries are noble professions, and that she can really help people when they truly need it. And interspersed with these memories are descriptions of how various cultures have dealt with death over the centuries, from Tibetan monks who dismember the dead and feed them to vultures (so that their souls may ascend to Heaven) to the Brazilian Ware’ tribe, who communally eat the deceased as a sign of great respect so that the bodies of their beloved won’t succumb to the indignity of decomposition. And while this might sound horrific, Doughty’s book is actually a sometimes funny and always moving account of how we all try (or we all don’t try) to deal with the one guarantee in this life: we’re all food for the worms.